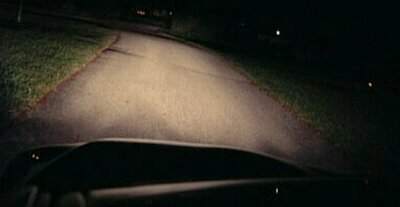 HID (High Intensity Discharge) light stimulates driver concentration and makes night time driving less tiring. It reflects much better on road markings and signs, further contributing to safety and comfort. 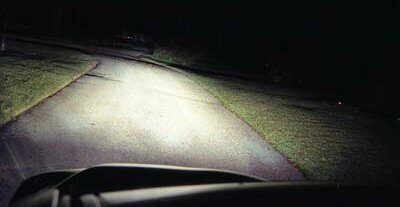 They are produced to the very high standards of reliability and quality specification that have made HID lighting the number one choice of discerning drivers everywhere. Brightness: Color temperature range is 4300K to 8000K, which is 2-3 times brighter than conventional halogen bulbs. Power: 35W power to save 40% energy consumption. Focus: Same size as original lamp to reach international standard focus. Available in H1, H3, H4, H7, 9004, 9005, 9006 or 9007 bulb #'s. H.I.D. IS WORTH EVERY PENNY. INSTALLATION IS EASY AS 1-2-3. 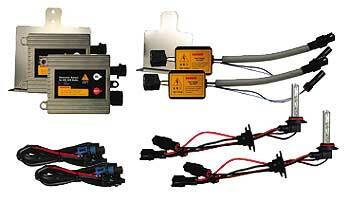 THESE ARE THE BEST HIGH QUALITY & THE MOST LUXURIOUS HID CONVERSION KITS, NOT cheap/cheezy wannabe products out there! Color: Blue White which is a bright white with a Bluish tint. Color: Purple White which is a bright white with a Purplish tint. Enhance your car with the new LUXURY & ELEGANT Look. ALL of our H.I.D. ARE THE BEST in the market. You will be happy with the new appearance of your car. SATISFACTION IS GUARANTEED! IS IT DIFFICULT TO INSTALL BY MYSELF? Not at all. You can install the kit by yourself. This is "Plug & Play". All of our kits are beam pattern corrected for direct bolt-on installation with NO MODIFICATIONS required. No wire cutting or splicing required. That means both Halogens and HIDs can be interchangeable and so all you have to do is only mount the ballasts and plug the bulbs in. Irreversible headlamp housing modifications are no longer needed. All kits comes complete with everything needed for a simple plug-and-play do it yourself installation.